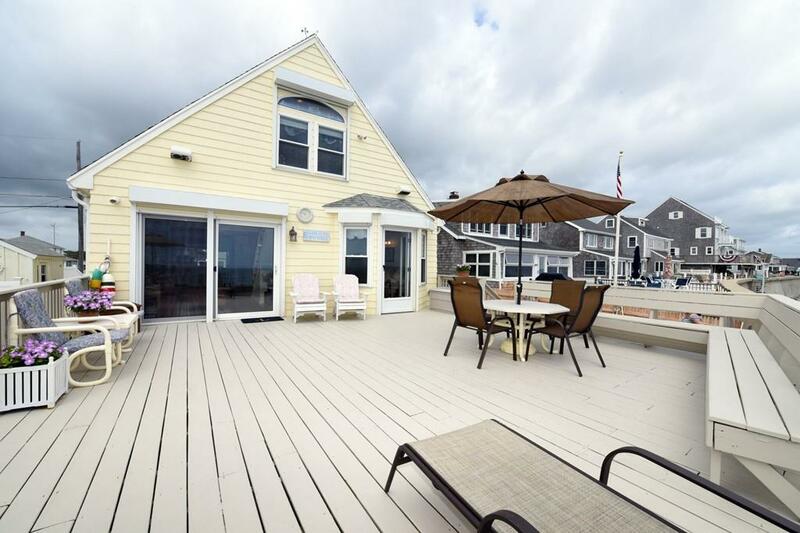 Summer is right around the corner soak it all in at your luxury ocean front home! Enjoy a front row seat to spectacular sunrises, sunsets & the best fireworks display. An entertainers paradise w/enormous deck, paver patio, walkway & driveway, outdoor shower, fenced in yard & plenty of parking! Ocean Bluff Contemporary- rebuilt w addition meticulously maintained offering an open floor plan, all the amenities you wouldnt expect from a year round ocean front home: pristine HDWD floors, Cherry kitchen w/granite, stainless steel appliances & double oven, cathedral ceilings, light & bright w/8 remote skylights & windows galore to admire the oceanfront views, gas stove, 2 bdrms & sleeping loft, 2 baths w/CT & cherry cabinets w/granite, CAir, 2nd floor laundry & generator. 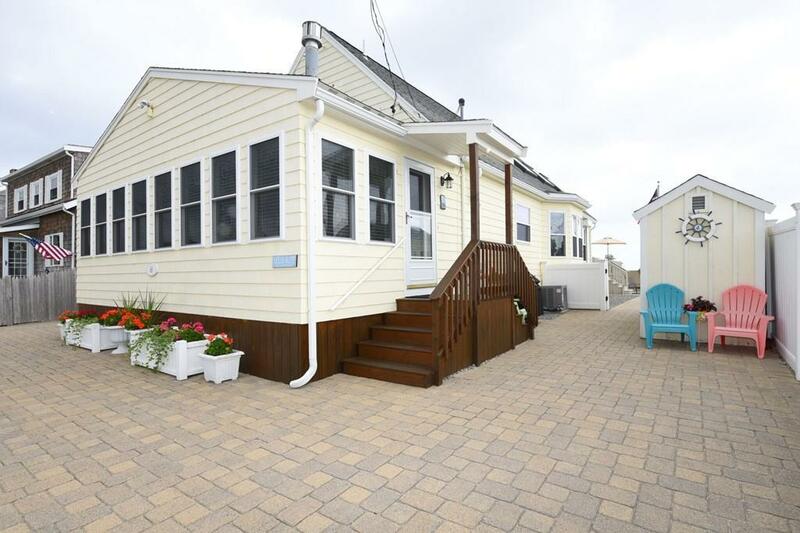 New seawall, lower flood insurance, town sewer, gas heat, shed & storm shutters. Enjoy swimming,fishing,boating,golfing & dining nearby or better yet pull up up a chair & do nothing but take in the spectacular views! Listing courtesy of Gerri Predella of Molisse Realty Group. 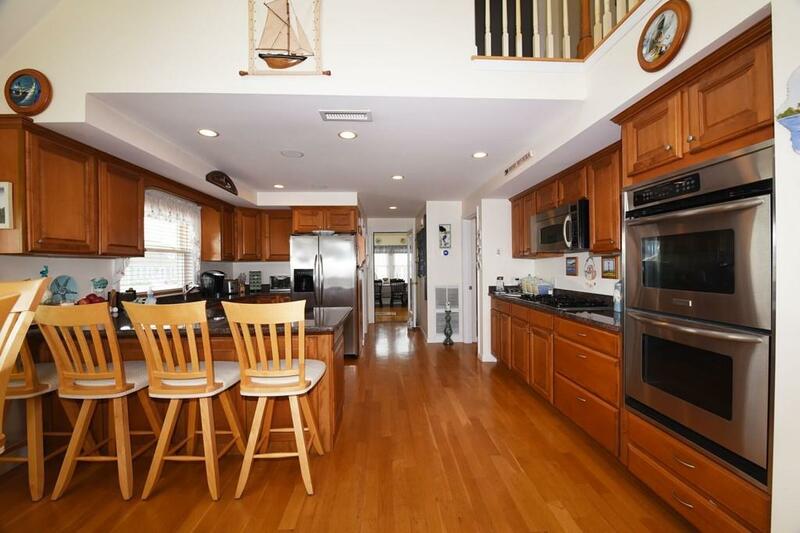 Listing provided courtesy of Gerri Predella of Molisse Realty Group.